If you are looking at a wedding wagon for kids, you will have plenty of great options at your disposal. As you begin to prepare for your big day, there are many things you will need to take account, so you can ensure it all goes off without a hitch as you tie the knot. In this article, I would like to share some ideas you have, so the ceremony goes well, along with some safety tips you will need to be aware of, to ensure nobody gets hurt in the process, which would certainly spoil the big day. If the color red simply will not work for your ceremony, you might want to consider painting it a color to match or compliment the color scheme you have selected. This will make it look great as it gets pulled down the aisle, to the soon to be bride and groom. Be sure to use a quality paint, perhaps considering powder coating, so it looks great and like new. Above all, make sure to use one that is in good overall condition, free of rust and big scratches or dents, so it looks nice. If your wedding is using a theme, perhaps an outdoor theme, you want to make sure to decorate it accordingly. Add some outdoor items, perhaps camo, if that is your thing. If you are using a beach theme, which has become increasingly popular, you might want to add some sand or seashells inside of it, or even attach them on the sides. This will help to make it look much nicer and will keep it matching the theme the bride and groom are trying to capture. Other ways to decorate a red wagon for a wedding are with lace, various fabrics, flowers, as well as the invitations, pictures of the bride and groom, etc. This will make your wagon look great and really enhance the ceremony. Spend some time making sure it looks really nice and it will look great in the pictures and create lasting memories. When you go and try to put together a wedding wagon for flower girls, there are a few things you will want to do. First, you want to make sure the flowers are out of the way, so the child doesn’t kick them out as they fidget. The little girl might really enjoy having her own theme with the wagon, like something to do with Barbie dolls, or her favorite cartoon characters. Just make sure the little flower girl is happy with her role and the ride she will be taking. If you are using a boy or girl, when you decorate the wedding wagon for a ring bearer, you might want to incorporate the theme of the ring itself into it. This could mean painting it gold, or adding fake jewels to the side, to resemble diamonds. You might also want to consider simply making it something a boy would like to ride in, so they are happy about their role in the ceremony. You will find there are tons of different types of wagons out there that will work for a wedding. If you want to go fancy, you can purchase or possibly rent a nice looking wooden one. These generally look great and will match almost any theme you can imagine. They are relatively expensive though, so if there is not a place to rent and buying is the only option, you might want to shop around carefully for the best price. 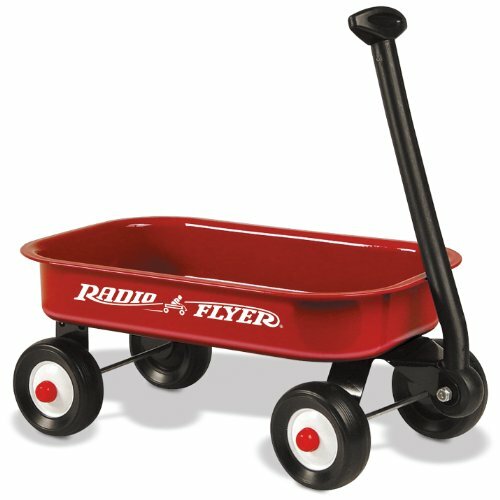 The typical metal red wagon is a good choice for most people. In fact, it can be given as a gift to the ring bearer or flower girl when the ceremony is done, so it will get good use afterward. These are not that terribly expensive, so if you want to purchase one, you can find them for under 50 dollars most of the time. Just shop around a little and see what you can find and what the prices are, so you make a good investment. Since many people own them, there's a good chance someone will have one you can borrow. 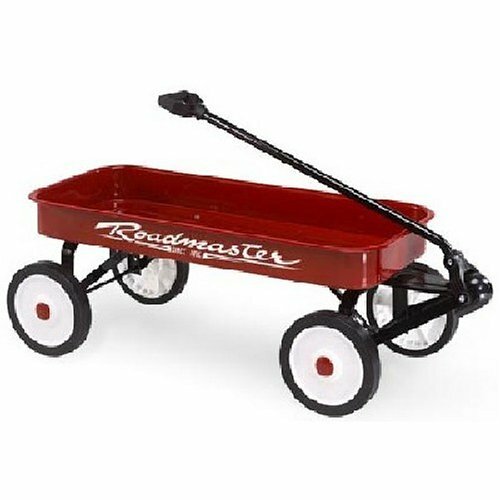 Plastic wagons for weddings are good option to keep in mind. The pricing is right on them and many have a very wide wheelbase. They are softer than the metal ones, so they are less likely to injure in case of an accident. Pricing is similar on these to metal, so it is really more of a personal choice than anything else. 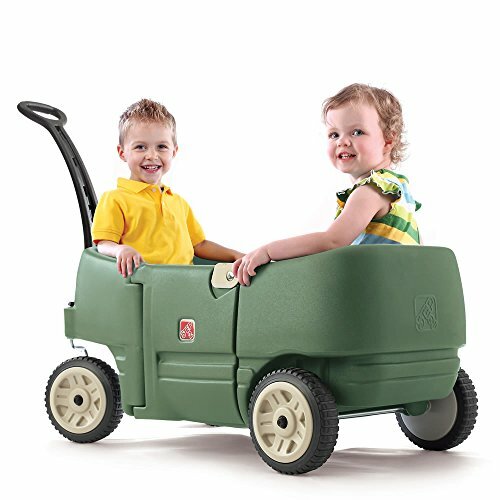 Big wheel wagons, sometimes called all-terrain, are another great option you might want to keep in mind. You will find they are larger than the standard red ones and the wheelbase is wider, so it will be more stable and safer. It is very important to make sure you ensure the safety of any child that will be riding in or pulling the wedding wagon for kids. You will need to make sure you protect them properly and make it comfortable. The listed items below are only some of the things you must consider to ensure proper safety during the ceremony and reception. High Sides: If you select one with very low sides, it might not be sufficient for a baby or small child. Higher sides will help to make sure they do not fall out while sitting or being pulled. Wide Wheelbase: If it is narrow, it will be more prone to tipping over. You will not want this to happen as the child is being pulled down the aisle. Seat Cushions: If the child is not comfortable, they will move around more. When they move around a lot, the chances of tipping over or falling out increases. Legroom: Proper legroom will help the child sit still while being pulled and will be much safer. If you are looking at a wedding wagon for kids, you have a lot to consider.